Breath-Holding In The Pool Can Spark Sudden Blackouts And Death : Shots - Health News When you hold your breath underwater, you might pass out before you realize you need oxygen right now. Experienced swimmers have drowned as a result, and most people aren't aware of the risk. Competitive swimmers often practice breath holding to increase endurance. There's a dare that floats out on hot days by the pool: Who can hold their breath the longest? In shallow water, the challenge sounds fun or at least harmless. Competitive swimmers and divers crouch under the surface all the time to build endurance. But the practice can cause swimmers to faint and drown without warning and before anyone notices. Whitner Milner was one of those people. The 25-year-old recreational diver and spear-fisher from Atlanta was training to hold his breath for three minutes. On April 16, 2011, he got into the family pool alone. His mother found his body the next evening, locked in a breath-holding position, one hand crossed over his chest and the other resting at his throat. The medical examiner determined that a blackout brought on by holding his breath was a likely cause of death by drowning. 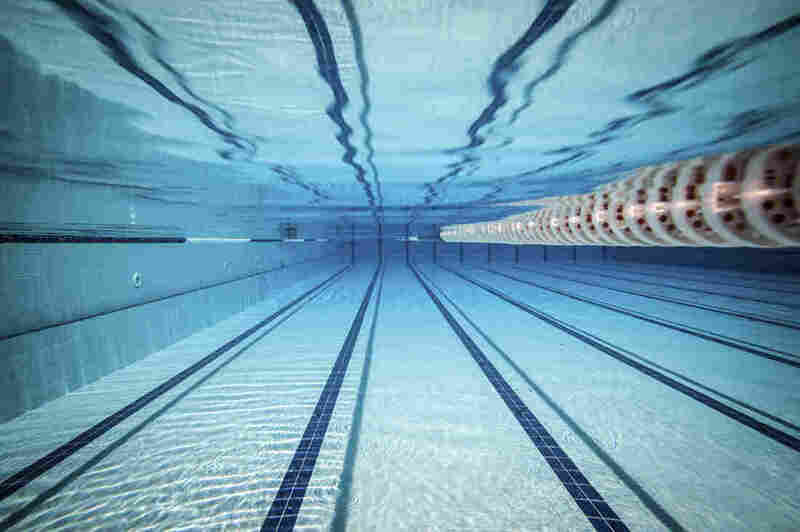 The phenomenon is getting increased scrutiny, with the Centers for Disease Control and Prevention issuing a report May 22 saying that shallow-water blackouts can cause unexpected injury or death for swimmers of all levels. 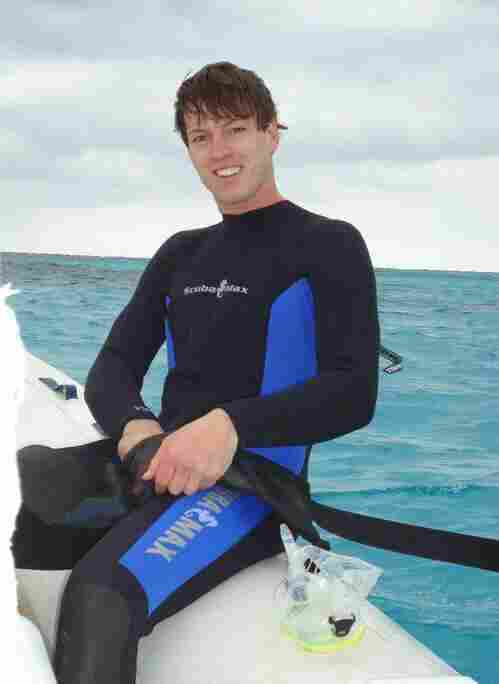 On Tuesday, a former Australian Navy diver drowned in a New Jersey pool while doing breath-hold training. The cause of death is being investigated. The report documents 16 shallow-water blackouts in New York State from 1988 to 2011, four of which ended in death. The accidents typically happen when people attempt training exercises either for fitness or to expand lung capacity, like in Whitner Milner's case. About one third come from games or spontaneous breath-holding competitions by recreational swimmers. Holding your breath underwater seems deceptively benign, says Rhonda Milner, a physician and Whitner's mother, and victims don't realize they're about to black out. "It's something that comes on with really no warning," she says. That's because we start craving air only when carbon dioxide levels in the body have risen over a certain threshold, says Christopher Boyd, the lead author on the CDC report and a researcher at the New York City Department of Health and Mental Hygiene. People will often hyperventilate before training or playing games, taking many deep breaths. That purges their bodies of carbon dioxide and staves off the urge to breathe. "It's very quiet, so it's very difficult to detect. Even in swimming pools with a lifeguard on duty." But that also means carbon dioxide levels might not rise high enough to signal for air before oxygen levels drop low enough for the person to pass out. Before they realize they need to "surface and take another breath, the person is already unconscious," Boyd says. The situation is even more likely if the swimmer is using more oxygen than normal from exercising or remaining underwater for long periods of time. Since people don't struggle, it can be hard for companions or lifeguards to realize someone is in danger. "It's very quiet, so it's very difficult to detect," Rhonda Milner says. "Even in swimming pools with a lifeguard on duty." She speculates this may have been the case for two Navy SEALs who drowned doing breath-holding exercises in a shallow pool in Virginia last month. After her son's death, Rhonda Milner founded an organization to promote awareness of the risks, including a video with Olympic champion Michael Phelps and a national prevention day this Sunday. "We didn't understand the full danger of it. We discussed it at one point and brushed it off." New York City is about to post warnings about the risks of underwater breath-holding at its public pools. "It is an entirely preventable injury," Boyd says. Swimmers need to be aware, he says, and parents and coaches need to diligently monitor anyone holding their breath in the water while playing or training. Cason Milner, Whitner's brother, says if they just had a better idea of how unsafe their games and training were, that knowledge could have saved his brother's life. "We didn't understand the full danger of it. We discussed it at one point and brushed it off." Because the pool was shallow and they were expert swimmers, there was a false sense of security. Now, he says, he's much more careful.